Astrophotography software helps you add that little extra touch that helps your equipment obtain the best results possible, or helps you in your post-processing stage. Even the most skilled photographer cannot rely only on the capabilities of its camera, telescope, autoguider, and other astronomical imaging devices. Once you have invested in your astro-equipment, it’s time to get your hands on a quality astrophotography software and get your photos sparking. 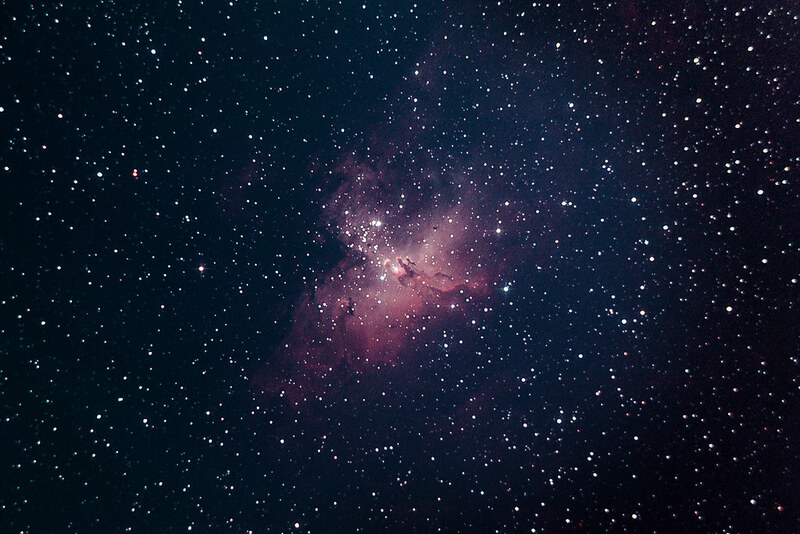 Thanks to camera control software for DSLRs, astrophotographers can manage their camera functions and settings straight from the computer. Using a USB-2 cable, you get to Live View the real-time image that your camera sees on the computer screen. This also helps you achieve a better focus, and also to control the bulb setting for exposures exceeding 30 seconds. You can download camera control software such as digiCamControl, Images Plus, and BackyardEOS or BackyardNIKON. Accurate focus can be achieved with a little help from a software-assisted focusing. The latest DSLR models provide software focusing that can be obtained by manual focusing and Live Viewing the image on a computer. Additionally, you can use autofocus if you are shooting with an autofocus lens. You can use software aids such as Brightest Pixel, FWHM (Full Width at Half Maximum), and CCDSoft Version 5. Guiding is a must when it comes to long exposures because that’s how you capture the highest quality images. Following your astronomical object, either manually or automatically, will correct the ascension and declination. Autoguiding software used for higher tracking accuracy include GuideDog, PHD Guiding, CCDSoft, MaxIm DL, and Guidemaster. With image acquisition automation you can automate the process of capturing images. For example, you won’t have to shoot many short exposures manually when you can set your camera to shoot at specific time intervals. Images Plus, CCDAutoPilot, AstroIIDC, or MaxDSLR, can help you on this. Image calibration removes undesired fixed signals and corrects signal modifications. This way, you get an accurate picture accurately representing the intensity of the light incident on the camera’s sensor at the time of the exposure. Images Plus and MaxDSLR, which you can use to aid you while actually capturing the image, can help you process your pictures too. You can also choose the editing-oriented software, such as IRIS, AstroArt, or Regim. Image stacking is a process through which you can combine multiple images to get a final image that is more intensely detailed. This is mainly used in astrophotography, where stars can be too faint. But taking multiple photos of the same item and then merging them results in a single, eye-popping picture. The best part of photo stacking is that it can be done with the world-renowned Photoshop, which you may already own. Additionally, you can opt for astrophotography software developed for editing purposes. 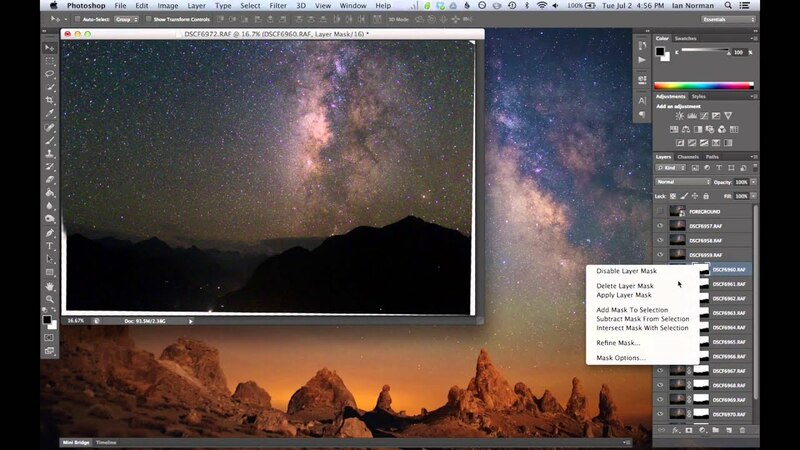 DeepSkyStacker is a free post-processing software that is specially made to help astrophotographers stack their photos. Other freebies include Registax, Keith’s Image Stacker, and Nebulosity. The most important thing to remember when merging your astronomical images is to align them neatly. You will most likely have to slide the pictures until the difference turns black, and you might have to rotate one or some of the layers for a perfect match. Then, play around with the layers’ transparency level, because you don’t want the result to be too overwhelming. As we always say, sometimes, it is just not enough to be incredibly talented and tech savvy to get the pictures just right. Astronomical objects are tricky and sneaky, and some captures might require more work than others. Have your colors come out a bit wrong? Are your targets too dim? Has a little bit of noise made its way into your photo? Luckily, you can fix all these, and more, with the help of the many post-processing software available on the web. The fixes can be done in astrophotography software such as Images Plus, AIP, AstroArt, MaxDSLR, IRIS, which are quite useful for a large variety of purposes. However, most astrophotographers would more likely prefer to switch to the good ol’ Photoshop. You can find countless tutorials on image processing dedicated to this field of photography. First, you might want to install Lightroom. It’s the best program for organizing, managing, and sharing your pictures. You can even do a little bit of light editing if that’s what you’re aiming for. So either stick to Lightroom or fire up Photoshop and start working on your basics. Work on the contrast, color correction, reduce the noise, and go to the temperature sliders and adjust the color of the deep sky. The gradient tool is also an important feature, especially when bringing up the foreground. If you still have some remaining noise, you can brush it out in Photoshop. If you want to create the famous and mesmerizing star-trail photographs, you can either stack layers in Photoshop or download Startrails. Instead of taking just one long-exposure picture, you can take multiple short-exposure ones and then combine them to get that star-trail effect. The significant advantage is that the background will remain as dark as it would on a single long-exposure. Startrails also has a time-lapse movie feature, and you can then save your video as an AVI file. You can also take advantage of this feature to create other time-lapse videos, not just astronomical movies.